Here are the Top Must-See Haunts in Oklahoma. In the summer of 2018, fans like you had the chance to vote for their favorite Halloween haunted attractions. We’ve tallied the results and created a list of the Top Must-See Haunts in Oklahoma. For a full list of every haunt in Oklahoma, visit our Oklahoma Haunted House Directory. 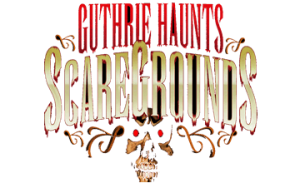 Guthrie Haunts covers over 30,000 square feet of both indoor and outdoor scares! 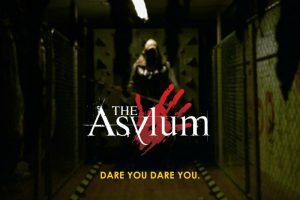 The Asylum is known for being “Oklahoma’s most interactive haunt!” When you enter the Asylum, you are taking a step way back to the 1940’s. You will witness cruel and unusual experiments that they say are being performed on perfectly normal patients! 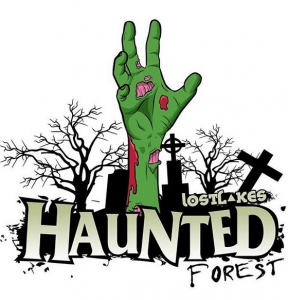 The Lost Lakes Haunted Forest was previously known as “Katt’s Haunted Forest.” This haunted trail opens September 28th and consists of nearly a one-mile walk of terror! The Hex House offers three extreme haunted houses in one location, including the Hex House itself, WestSide Grim, and Rise of the Living Dead. “Tulsa’s most unique haunted house,” Psycho Path is serving up another year of screams for the 2018 season. Their opening night is October 5th!